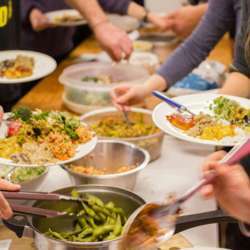 You must be a member of the Zurich Veggie & Vegan Cuisine Group to attend this activity. Would you like to join this group? Please only sign up if you intend to come. After multiple discussions, this event is being organised in collaboration withProtected content who have offered us a venue. 2. Please bring your own cutlery, plate and serving utensils. 3. Please list in the comments what you will bring.